As I stand in the female section of the mosque, looking over thirty women’s heads, who are kneeling on the floor in their striking opaque prayer gowns, I can’t help but feel my heart fill with gratitude. 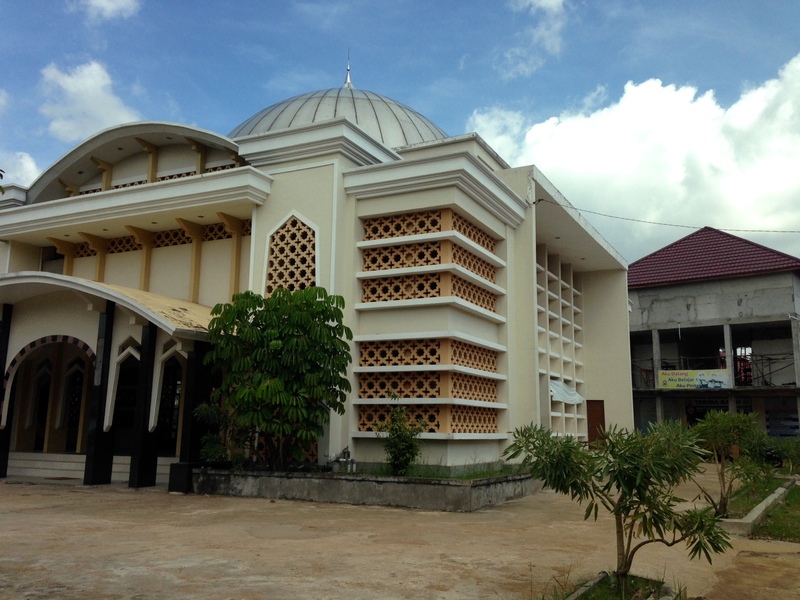 I was participating in my first “sholat” at SMA Muhammadiyah, a private Muslim high school where I teach. 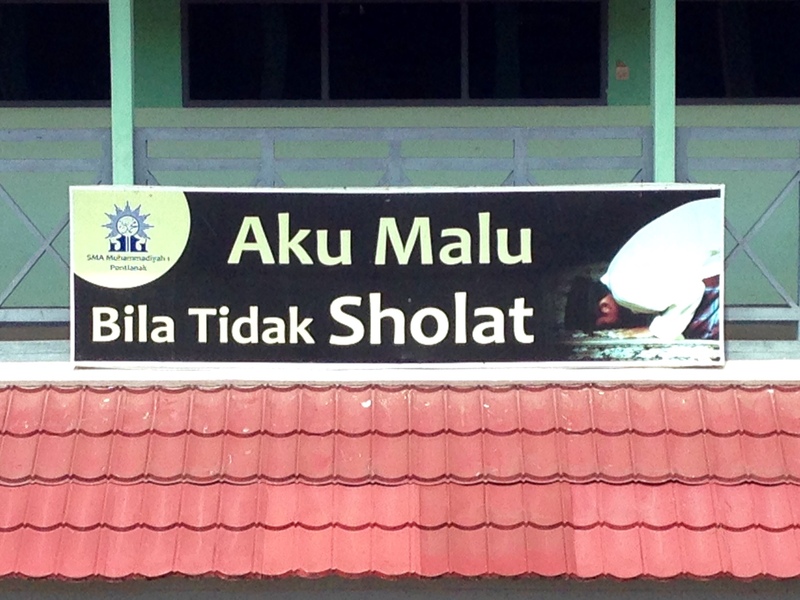 Sholat is prayer time, performed by most Muslims five times throughout their day. My lower back has grown achy from the past five months of constant motorcycle riding, so when I asked an Indonesian friend if many people living here experience back pain, she replied “well you see many don’t have that problem as often because we pray, and when we pray, the different positions stretch our back”. If you had asked me about prayer when I first arrived I would’ve mentioned something along these lines: it takes up a lot of my students’ school time, and it’s a great time for me to sit in a quiet office undisturbed, and catch up on work. I thought that praying is something that Muslims do because the Qur’an commands them too. I have spent five months here, and have focused on English and trying to understand the secular aspects of their education. Waiting for their Qur’an recitation to finish to start class, or watching the students get in trouble if they were absent at sholat (prayer at the school mosque),it has become apparent that one of the core aspects of my students’ lives, and one of the main purposes of SMA Muhammadiyah, was largely absent in mine. There was a big gap and I have been working to close this gap ever since. I was not raised in a religious household due to my hippy parents. They much preferred playing their guitars surrounded in thick incense and sage smoke on the weekend than being involved in a church. So entering the mosque was intimidating and I made sure my fellow teachers’ understood that I was not necessarily praying to Allah. Nevertheless the teachers welcomed me, dressed me in their prayer gowns and told me to watch first. 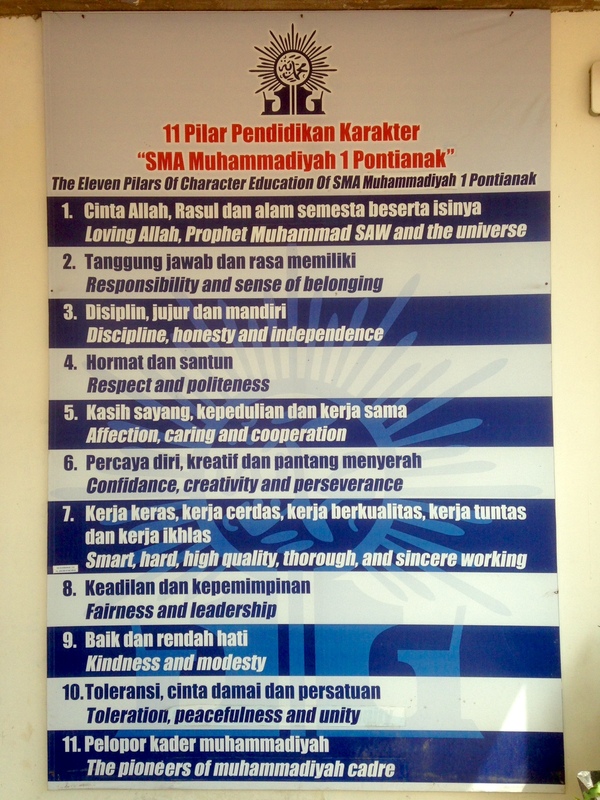 The teachers at my school pray five times a day, which have five different names: The first is at dawn at 4am called “Subuh”, the next is at 12pm named “Zuhur”, then at 3pm “Ashar”, at sunset there is “Magrib”, and the last one is “Isya” at 7pm. Muslims stop their day, to reflect, give thanks, and succumb completely to Allah. My co-teacher told me that “If life is a journey, praying is the terminal, which means throughout the day you have to periodically stop, and contemplate that day” When I asked my students how they feel about sholat, they were confused about the question, as it seemed so ingrained in their daily lives already, that asking how they feel about it was a foreign concept, “I don’t know, it’s sholat! We have to” one of my students replied. Touching my head to the ground for the first time in the mosque was a different feeling, it made me feel like I was a part of a larger picture, and also allowed me to feel a small step closer to what my students experience everyday. I’m not going to say that I have the discipline to pray five times a day if this were a part of our society, because I don’t, and our society’s day is also structured tremendously different. Yet here in Indonesia praying five times a day is no longer something I watch from a distance, but now something I understand and engage in when welcomed, and it is something I respect enormously about life here. Kingston, Zakariyya Virk. “Al Islam.” Physical Benefits of Salat (Prayer). Al Islam, 1 Aug. 1993. Web. 29 Apr. 2015. <https://www.alislam.org/library/articles/salat.htm&gt;. About the author: Bianca Rajan is a Fulbright English Teaching Assistant in Pontianak, West Kalimantan (commonly known as Borneo). She graduated from Washingtion and Jefferson College in Pennsylvania, with a degree in Art and International Studies. Bianca is originally from Maui, Hawai’i where she would like to note she had previously no exposure to the Muslim culture/religion, which is the motivation behind actively learning more about Islam, and writing these articles. April 30, 2015 in Culture, Teaching.